Correction: Wednesday, April 3, 11:00 am: The 370 mile range was for the European WLTP test standard. In the U.S., the EPA has rated the car at 300 miles of range. 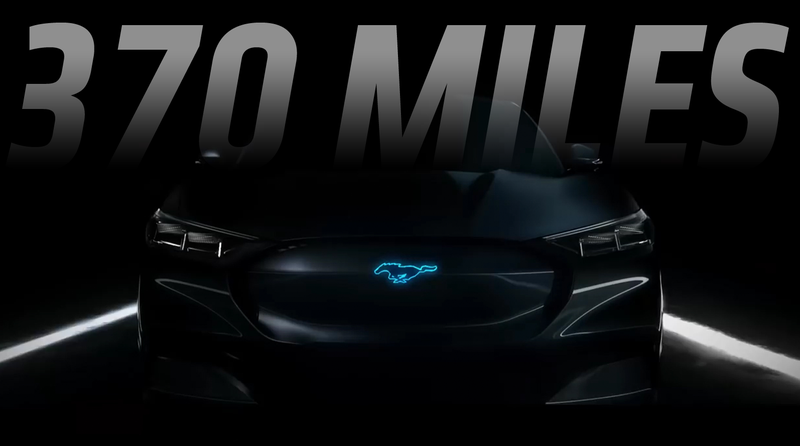 We’ve known for a while that Ford is planning on building a “Mustang inspired” electric SUV, and we’ve known that they wanted to have at least 300 miles of range. It seems that Ford has managed to do even better than that, as they announced today from the “Go Electric” experience in the Netherlands (whatever the hell that is) that the new battery electric vehicle will have a range of 600 km/370 miles, calculated using the World Harmonised Light Vehicle Test Procedure (WLTP). Ford was calling the SUV the Mach 1 for a while, presumably to emphasize its Mustangian influences, but they seem to be backing off that name. The SUV is expected to be released around 2020, and will be on a purpose-built electric platform, and will not share any components with the dead-dinosaur-powered Mustangs we all know. I imagine Ford will try to make it a pretty fast vehicle to maintain Mustang dignity, but, as is the case with almost any electric car, giving it good accelleration really shouldn’t prove to be a problem. No matter what, 370 miles of range is pretty impressive, and beats the Tesla Model X’s 295 miles by a good margin, and Tesla’s new Model Y’s range of 230 to 280 miles by even more. If I had to guess, I’d say what we’ll eventually see is a fastback-style mid-sized SUV with Mustang-like taillights, badging, grille treatment. Maybe we’ll also see the traditional Mustang side scoops and the twin-arch dash inside. It’ll be an electric SUV dressed in a Mustang costume, really, but with good range and performance, that may be just what Ford needs.